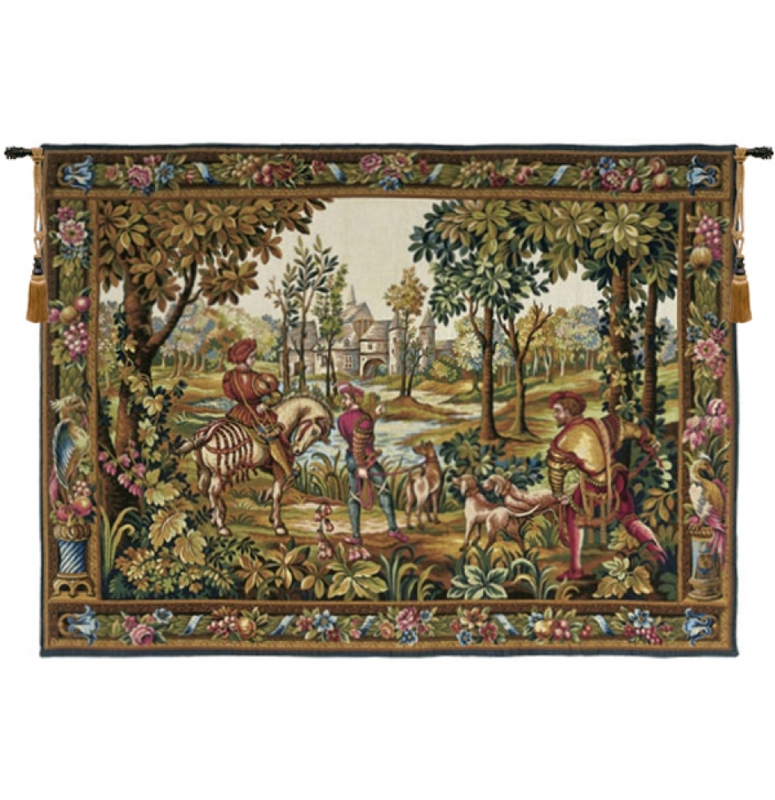 Two young dog handlers are depicted in this beautiful tapestry, as they await the beginning of the hunt with two dogs. Accompanied by his beaters, a lord returns to his distant castle from a hunt. 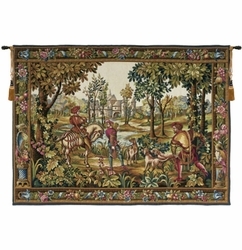 A rich border of fruit, flowers and birds frames this scene. The Renaissance radically changed the art of tapestry and imposed a new aesthetic, by associating tapestry and painting with its sense of composition, decoration and perspective. - Gently vacuum every 6 months. Size in inches/feet: Scroll down to chooseH36 x W54 inches/3.00 x 4.5 ft)H50 x W72 inches/4.16 x 6.00 ft(+$1000.00) H70xW110inches/5.83x9.16feet(+$1500.00)"